The rules and regulations set forth herein are designed to provide for the orderly conduct of racing events and to establish minimum requirements for such. These rules shall govern the condition of all in these events. Doe Run Raceway warns everyone racing is dangerous. You could be injured or killed. Even though we carry insurance, participate at your own risk. No expressed or implied warranty of safety shall result from this publication of rules. They are intended as a guide for the conduct of the sport and are in no way a guarantee against injury or death to participants, spectators or others. Track management reserves the right to add, amend, suspend or adjust any rule or procedure which they deem necessary to aid in the production of racing. The omission of any rule or procedure is not by any means an authorization to any participant to assume legality or permission. It is best to get the approval from management rather than be disqualified due to assuming. No equipment will be considered as having been approved by reason of having passed through tech inspection unobserved. All cars must be tech/safety inspected prior to competing. All cars not meeting minimum requirements as set forth in these guidelines will not be allowed to compete. All cars subject to tech inspection at any time. For the purpose of these rules, all competing classes are referred to as “cars” . Only one vehicle per race car is allowed in the pit area of Doe Run Raceway. Doe Run Raceway, Inc. is not responsible for damage to personal vehicles. For insurance purposes, the pit area must be cleared within 60 minutes of the completion of the race program. A participant is defined as any person taking part in any event in any form, including but not restricted to drivers, car owners, mechanics, crew members, sponsors, track officials or pit area observers. All such persons shall be considered public figures who have, by their own choice, become involved in auto racing events sanctioned by Doe Run Raceway with the full understanding he/she must abide by the rules and regulations established and published or announced by Doe Run Raceway. All participants are considered to be responsible for their personal conduct. Illegal drugs are defined as those substances prohibited by state/or federal law. Possession or use of illegal drugs, drug substances (as defined above) or alcohol is prohibited in any form, by any participant or fan at the raceway; whether on the raceway grounds or in any area to be considered to be used in the operation of the raceway, such as parking lots or leased properties. 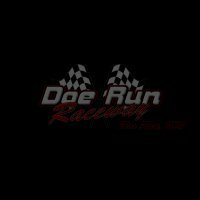 Suspension from competition and eviction from raceway property and denial of further entry to any events for a period of time to be determined by the Board of Directors of Doe Run Raceway. Any person who is formally charged in a court of law with an illegal drug violation, upon notification to the Board of Directors by that agency, shall be suspended from all forms of participation at any and all events until such time as the charges are fully adjucated through the legal process. Any participant convicted of a formal drug charge by such process of law will be prohibited from taking part in any raceway event for a minimum period of one (1) year from the date of conviction. If a participant is using prescription drugs on the advice of a physician, such use must be reported to the safety and protest official prior to the participant’s entry into any raceway activities. Failure to do so will subject participant to penalties as prescribed above. Any participant suspended for violation of these rules may be granted an appeal hearing by the Board of Directors, provided the suspended participant requests such a hearing, in writing, within fourteen (14) days of the suspension. It is the responsibility of the suspended party to make such a request if a hearing is desired. Any participant suspended for an illegal drug violation, except in the case of selling drugs, may as a result of a decision reached through the hearing process above, be reinstated, if it is mutually agreed the participant--at his or her own expense--will produce documentation from a physician licensed within the State of Missouri, certifying he or she is drug independent as a result of random and periodical examinations and urinalysis testing, made at the request of the Doe Run Raceway Board of Directors. Every person, participant or crewmember must sign and print their name clearly on “Release and Waiver of Liability and Indemnity” before entering pit area. In addition, all participants under the age of 18 must have a copy of birth certificate or driver’s license and signed release form (signed by both parents) on file in track office before being allowed to compete. Drivers meetings will be held from time to time. Attendance at these meetings is mandatory. Pill draw will be at the scoring tower. Failure to draw a pill will result in being put on the back of a heat race unless the line up would be significantly altered. In the case of a significant change, you will be put on the back of the “semi-feature” or feature. A significant change is one that would necessitate making another heat race. Line-ups will be posted. It is your responsibility to know when you are racing and be ready to go. The staging steward will check the line up and open the gate to allow cars onto the racetrack. Once the cars are out of the staging area, the gate will be closed. Once the gate is closed, no other cars will be allowed on the racing surface. The top three finishers from each heat race and the top five finishers of each feature race are required to go directly to the scales. If you fail to go across the scales, we will assume you were too light and will disqualify you. The required weights are a minimum required. Make sure you do not get disqualified over a pound or two of weight. All added weight must be painted white, be securely fastened and have car number on it. All cars are subject to tech and must be safety inspected before being allowed to compete. One 4 wheeler allowed per race car. Each 4 wheeler shall have a 8” x 8” number plate with car number on it. No four wheelers will be allowed outside the pit gates or beyond the rest room facilities. If you wish to go to the grandstand area, you will have to leave your four wheeler in the pits and exit through the designated entrance gate. This includes drivers, spectators, crew members or any other individual. Please ride responsibly and be on the lookout for moving racecars, pedestrians and children. Anyone riding irresponsibly will lose the privilege of riding a four wheeler at our facility. All cars must appear at the track in a clean and presentable condition. SHOW SOME PRIDE. Management reserves the right to change your number to prevent duplicates. The race officials may impose a time limit on any race regardless of the number of laps completed. When changing drivers or vehicles, you must notify the officials in the scoring tower. The replacement driver or vehicle will then have to start on the back or be disqualified. No two way radios allowed. No rear view mirrors allowed. In the event of rain or adverse weather conditions, rain checks will only be issued if all heat races have not been completed. No cash refunds. Rain checks will be good for anytime during that years racing season. You are responsible for your pit crew. If a member of your pit crew causes a problem anywhere on raceway property and is ejected from the raceway, you and your car will also be asked to leave. Parents, please remember this is supposed to be a fun, learning experience for your child. Any parent who is ejected for poor sportsmanship toward any other individual at the raceway, whether it is a driver, car owner, parent, crew member, spectator, official or employee, will result in their car and child being ejected also. No arguing with officials or employees will be allowed. If you disagree with a call made, you may “discuss” it with the management AFTER the races are over. If you argue with an official’s call you will be jeopardizing your car. Our officials will be the ones to make the calls at our facility and there will undoubtedly be a wrong call made from time to time. But, you will have to accept that call if you want to race at this facility. There will be no profanity or obscene gestures made toward any official or employee of this facility. If such a situation arises, it will be dealt with immediately and you and your car will be banned from this facility as long as management deems necessary and you will lose any points you have accumulated up to that date. Abuse consists of foul language, obscene gestures, fighting and/or striking any participant or spectator. 1st offense Suspension from one (1) future race event, $100 fine. Loss of points and money for that night. 2nd offense Suspension from four (4) future race events, $200 fine. Loss of points and money for that night. 3rd offense Indefinite suspension; $400 fine. Loss of points for the year, loss of money for that night. Anyone striking any official or employee of this facility will be subject to prosecution to the fullest extent of the law and will be suspended indefinitely. All protests must be made in writing, to a track official, within five (5) minutes after feature race for that class has been completed. If protested car is found to be legal, protest fee will be given to protested car. If the protested car is found to be illegal, protesting party will have protest fee returned to them. Only driver, protesting party, officials and one crew member are allowed to be present during tear down. Refusal to tear down when protested will result in a one week suspension, loss of points and money for that night. Anyone found to be illegal will lose all monies earned for the night and all points that have been accumulated to that date. If protested again and found to be illegal, you will lose any points accumulated to that date, be suspended for the remainder of the season, and lose all money earned for that night. Only cars finishing in the top 10 that are on the lead lap may protest. 1. Five (5) show up points. 1st place 48 points. Drops 2 points per finishing position thereafter. If a car is sold during the racing season, the new owner will start with zero (0) points. Initial start shall be at the orange pylon in turn 4. The front row may begin accelerating once their front wheels have passed the pylon. The remainder of the field may pass cars once the front row has taken the green flag. All cars must remain NOSE TO TAIL. If you get out of line you will be penalized two positions at the next yellow or at the finish of the race, whichever comes first. If you are on the front row of a line up and you jump the start, the yellow flag will come out the field will be re-aligned. You will be given a second chance; after second attempt at a start the second row will move up, and Front row will move to the second row. One attempt at that start, then it will go single file. Restarts will be single file. All cars are to line up as scored on the last completed lap. The lead car must remain at idle speed until reaching the cone in turn 3/4. The leader may then accelerate at any time after passing the cone in turn 3/4. If you are the leader and have accelerated, you must stay on the gas. Failure to do so will result in a black flag. No one is allowed to pass any cars until they have passed the second cone or it has been pulled. Anyone passing before they reach the second cone will be penalized two positions at the next yellow or at the finish of the race, whichever comes first. For scoring purposes, the finish line is at the flagstand. Heat race line ups will be determined by pill draw. Dash line up will be determined by finishing order of heat races. Example: 3 heats--top 2 finishers from each heat to dash, 2 heats--top 3 finishers from each heat to dash, 4 heats--top 2 finishers from each heat to dash and so on. Semi Feature line up (if needed) will be determined by heat race finishes. Example: 3 heats--top 5 from each automatically qualify for feature; 4 heats--top 4 automatically qualify for feature, etc. Anyone refusing to get in line per the officials direction will be black flagged and may face disciplinary action. Yellow: Caution, reduce speed immediately and be on the look out for wrecks, push vehicles etc. You should immediately line up per the track official’s direction. Anyone refusing to get in line per the officials direction will be black flagged and may face disciplinary action. During a yellow flag, only officials may touch race cars. If anyone else touches your race car you will be disqualified and sent to the pits. All drivers must remain in their cars at all times. Anyone getting out of their car on a yellow flag will be disqualified. Please note that scorer’s go back to the last competed lap. Lapped cars may stay in the position in which they were last scored or may elect to go to the rear. Red: Stop immediately. CLOSED TRACK. No one except track officials allowed on racing surface. Anyone who leaves the racing surface will be disqualified and may not return to that race. Anyone stepping onto the race track during a closed red and/or adjusting or touching a race car in any way will cause that car to be disqualified. Drivers must stay in their cars at all times. Anyone getting out of their car will be disqualified. Track officials may elect to open the track to allow for fuel. If the track has been opened for a fuel red, you may change a flat tire only. If you change a flat tire during a fuel red, you will have to go to the rear on the restart. No other adjustments will be allowed. Anyone involved in the accident must be checked out by track emergency personnel--NO EXCEPTIONS. Black/Rough Driving: Disqualified. You are to leave the racing surface immediately. If the officials determine you are intentionally bumping, pushing or in their opinion, driving rough, you will receive the black flag and will be finished for the night. Anyone failing to leave the racing surface after receiving the black flag will be suspended for an amount of time to be determined by track management. If you create a spin (yellow) or red, you will be moved to the rear. If you are involved in the yellow or red, whether it was your fault or not, you will be moved to the rear. You are allowed one yellow or red per race. If you are involved in another yellow or red, you will be sent to the pits. If you get a flat tire while racing, you will be sent to the pits (exception: you may continue racing with a left front flat). You may not change it and return to the race. If you get a flat tire before one lap is completed in the feature race, you will be given two (2) minutes to change it. Once one full lap is completed you may not change your tire and return to the race. During green flag conditions, cars that enter the infield area MUST DO SO AT A SLOW SPEED. Anyone not lifting off the gas will be black flagged. In addition, cars that develop mechanical problems should attempt to make it to the infield. Anyone pulling into the infield and remaining there for at least one lap may not return to that race. Cars returning to the race must not interfere with the competitors on the racing surface and may not advance their position by returning to the race. ANYTHING NOT COVERED BY THESE RULES IS ILLEGAL!!!!!!! All drivers must be at least 12 years of age. All drivers under the age of 18 must have a copy of birth certificate or driver’s license and a release form signed by both parents on file before being allowed to compete. All motors must start out as production 636cc or less four cylinder four stroke engines, modifications may be made after that point. All cars must have a noise eliminating exhaust. Motors originally manufactured with more than 636cc will be illegal. No motor manufactured with more than 636cc is legal. Cars must weigh a minimum of 750 pounds with Driver. Top 2 finishers from each heat race and semi must weigh prior to returning to the pits. Top 5 must weigh after the feature. Should any of these cars return to the pits prior to weighing, they will be disqualified. Any material used for adding weight to the car must be firmly attached. Hoosier tires only, any compound will be allowed. All cars must have a metal firewall between the driver and the engine compartment. Minimum 24 gauge or .0625 thickness aluminum. Chain guards will be installed on all cars using a minimum of .090 aluminum material or equivalent. On and off switches must be on the dash. Roll cages shall be at least 1 1/8 inch .065 wall thickness or 1 ¼ inch .065 wall thickness. Roll cages must have sufficient fore and aft bracing. All cages shall be made of chromoly steel or equivalent. All cars must be equipped with nerfing bars and not exceed beyond the rear tires. All cars must have bumpers extending beyond the front and rear tires. Cars must have floor pans extending from the driver’s feet to the front of the seat. All wet cell batteries mounted in the cockpit area must be covered and vented outside the cockpit area. All cars will have top wings at least 10 square feet, and a maximum of 16 square feet. Alcohol or racing fuel may be used. NO ADDITIVES ALLOWED. This only applies to performance enhancers, is not meant to exclude top end lubricants. Random fuel checks may be conducted at the conclusion of any event. The following placements can expect to be tested: top 5 placements in the A main and the top 2 in any heat, dash or semi feature. No traction control devices of any type will be allowed. Bladder in fuel cell is Highly Recommended. The following safety items are strongly recommended: name brand flame retardant uniform, five point racing style harness, racing style shoes, arm restraints, flame retardant gloves and neck brace or helmet restraint (cage net recommended). Drivers must be a minimum of 15 years of age with prior racing experience, anyone younger than 15 years of age must be approved by track management before being allowed to race. A drivers skill test may be given in lieu of prior racing experience. All drivers under the age of 18 must have a copy of birth certificate or driver’s license and a release form signed by both parents on file before being allowed to compete. Any inline four cylinder, two or four door compact sedan. Any inline four cylinder compact pickup, foreign or domestic. Rear wheel drive cars or trucks only. No front wheel or four wheel drive vehicles allowed. No two seat compact cars allowed. No Volkswagens, convertibles, high performance cars or station wagons allowed. No fuel injected, turbo charged or rotary powered cars or trucks allowed. No mid or rear engine vehicles. 1. All cars and trucks must weigh a minimum of 2500 pounds with driver. 2. All cars and trucks shall have a minimum wheelbase of 84 inches. Maximum wheelbase 112 inches. 3. Body sides, hood and trunk deck may be made of aluminum but MUST appear as stock appearing as possible. Must have factory stock firewalls and floor pans. All openings in firewalls and floor pans must be sealed. Interiors may be enclosed similar to modified or late models. 4. Fender wells may be removed. Trimming of fenders allowed for tire clearance only. Truck bed floors may be removed, but top of bed must be covered and cover must be securely fastened. 5. All glass and exterior trim must be removed. Hood and trunk must be safely secured. Doors must be welded shut. Driver’s compartment must be completely gutted. IF IT WILL BURN, TAKE IT OUT!! 6. Stock steel front bumpers may be used and may be reinforced between frame rails. Inside bumpers with 1 1/2 O.D. tubing maximum. NO shock absorber type bumpers allowed. No angle iron. Square tubing bumper allowed on front or rear, 1 1/2 square minimum, 2x4 maximum. No sharp edges. 7. Front and rear bumpers must have a minimum of 1 1/2” O.D. .090 round steel tubing welded to bumpers and turned and mounted to frame. 8. Door panels may be trimmed for bar clearance. 9. Steering quickeners allowed, stock steering columns may be replaced with steering rods. Quick release steering wheels mandatory. 10. Must have chain or some way of picking up car on front or rear. 11. Original grill may be removed, but screen wire or expanded metal must be installed to retain stock appearance. 12. One rub rail per side may be used. Not to exceed 1 1/2” in diameter. Ends must be rounded or wrapped. No sharp edges. Must be mounted as close to body as possible. 13. Vehicles shall be numbered in the following manner: Roof, minimum 18 inches tall, Door: minimum 18 inches tall. All numbers must be legible from the scoring tower. 14. Aftermarket plastic noses allowed. Plastic skirting not over 6” wide may be used on bottom of body. 1. No offset or lowering allowed. The center of #1 spark plug hole may not extend behind the center line of ball joint. 2. Factory stock carburetors or up to and including Holley 500 2 barrel with a 2 inch maximum spacer and/or adaptor plate is permitted. No fuel injection. 1 3/8” venturi rule applies. 3. Aftermarket intakes allowed. No porting of any kind. No homemade intakes allowed. 4. No stroker kits allowed. Engine MUST BE used in production Vehicles. 5. Any exhaust may be used. Exhaust must exit out of drivers compartment and exit either to the side or rear of vehicle. Exhaust may be painted white or rusted. No ceramic coating or wrapping of exhaust allowed. Stock or IMCA style mufflers mandatory. No glass packs or catalytic converters for mufflers. Exhaust running through drivers compartment must be shielded. 6. Aftermarket rod bolts allowed. Aftermarket STEEL rod maybe used with a max. length of 5.7 inches. 7. Heads must be stock. Heads and blocks may be decked for trueness. Engines may be bored for cylinder trueness. No porting or polishing. Heads must be for type of vehicle you are racing (Chevy to Chevy, Ford to Ford). No roller cams allowed. Flat top or dished pistons only. 8. Air cleaners may exit hood but not to obstruct drivers vision. 9. No aluminum flywheels. Stock clutch, pressure plate and flywheel. Flywheel may not be shaved or drilled. Flywheels may be surfaced for trueness. A minimum ½” hole must be drilled in bellhousing for clutch inspection. Must be located in an easily accessible location. 10. Stock transmissions only with ALL working gears. No racing type transmissions. All vehicles must have all forward and reverse gears operational. Transmission plate required, must extend from floor pan up side of transmission hump at least ½ way across hump. Minimum 18” wide. 11. Any style oil pan may be used. A ½” plug be installed in oil pan approximately 2” from bottom of block for crank and rod inspection. Must be installed in an easily accessible location above oil level. Anyone that does not have plug MUST remove oil pan for inspection…Unless we can get through the fuel pump hole or oil pick up shaft hole. 12. All vehicles must have a working starter. 13. Locked rear ends allowed. 8” or 9” Ford rearends are allowed in any vehicle..
15. All vehicles must have a minimum of 3 working brakes. 16. Aftermarket radiators allowed. May be relocated from original position. If moved, must be shielded from drivers compartment. 17. Racing rubber only. Hoosier tires only. Minimum 8 inches wide. Grooving and Siping is legal..
Steel wheels only. No aluminum wheels. One inch lug nuts mandatory. 18. Pump gas or racing fuel only. No additives allowed. Important Note: Anything not specified in these rules must be stock from the manufacturer. The track director and race officials will strive to implement rules fairly and equally among all participants. Remember, this class is for FUN! 1. All cars and trucks must have a six (6) point roll cage with a minimum of 1 1/2 inch O.D. .090 wall round tubing. No square tubing is allowed. All uni-body cars must have either a 6”x6”x3/16” minimum plate bolted to the top and bottom of floor pan and cage must be welded to plate or a sub frame connector made of a minimum 1 1/2” .090 O.D. square steel tubing bolted or welded to frame. No crossbracing allowed. Cage may be welded to sub-frame connector. 2. Two bars minimum to rear of vehicle, must attach to frame. 3. Three bars on left door, mandatory. Two horizontal bars or “X” in the right side. Minimum of three vertical bars in front of the driver in the windshield area. 4. Driver’s side door plate mandatory. Minimum thickness 18 gauge .049 steel. Door plate must cover from top bar to bottom bar. Must cover driver’s left side and hip area. Remember, this is for your safety. 5. Fuel cells are mandatory and must be strapped down with a minimum of two solid metal straps and must be in the trunk of the cars or the bed of the trucks. Must have firewall between driver and fuel cell. If the cell is in the bed of the truck, the fuel cell or bed must be covered. Fuel cells must be in a canister made of a minimum of 22 gauge steel. 6. Batteries must be completely enclosed and securely mounted in the trunk or bed of the truck. Marine type boxes allowed. 7. All vehicles must have a “kill” switch mounted on the left of the steering wheel on dash panel and a fuel shut off valve in easy reach of the driver. 8. Driveshafts must be painted white and have one loop located within 6” to 12” of the rear of the transmission. Loop must be of 2” wide 1/4” thick steel. 9. Any added weight must be painted white securely fastened and have car or truck number on it. 10. All vehicles must be neat and clean in appearance. All safety equipment must be worn any time vehicle is on racing surface. 1. Name brand flame retardant uniform . 2. Five point racing style harness, dated not over three years and must be secured to the roll cage or the floor pans. 3. Racing type seats mandatory and must be secured to the roll cage. Seat must be left of driveline. 4. Driver’s side window net mandatory. 5. Neck brace or helmet restraint. 6. Helmets must be one of the three latest Snell approved full head coverage competition types. 7. Fire retardant gloves mandatory. No jersey or “work” type gloves allowed. 8. Racing style shoes recommended. 9. ABC type fire extinguisher required. Must be securely mounted, no zip ties. Extinguisher must be within easy reach of driver while belted in car. All drivers must be 7- 14 years of age. All drivers must have a copy of birth certificate and release form signed by both parents on file before being allowed to compete. ONLY TRACK FUEL MAYBE USED!!!! Fuel will have to be purchased at the track. 1. Roll cages required. Minimum of 3 inches and maximum of 6 inches above driver’s helmet. Driver must be covered head to feet. Cage must be mounted by clamping, bolting or welding to frame. A MANDATORY push bar must be mounted to rear of cage extending out even with the rear bumper. Minimum 12” off of ground, max. 18”. Must be constructed of same material as roll cage. 2. Cages must be made of a minimum 1” .095 wall tubing or 1” chromoly tubing equivalent to .095 mild steel. 3. For 2015 we will be implementing the Briggs & Stratton LO206 engine and rule package. Get the 2015 engine rules package by clicking on 2015 Briggs LO206 Rules. 4. Karts must weigh 300 pounds minimum with driver. 5. Methanol fuel only. NO ADDITIVES ALLOWED. Random fuel checks will be conducted. 6. All karts must have live rear axles. 7. 5 inch minimum, 6 inch maximum wheels. Racing style, grooved or slick tires only. Hoosier tires only. 8. Friction style clutches only. No axle clutches. 9. Karts must be equipped with nerfing bars. 10. Brakes must be in good working order. Brake pedal must be securely fastened to assure it cannot come off while kart is in motion. 11. Front and rear bumpers mandatory. 12. Chain guards are mandatory and must cover from front to rear sprocket. 13. Muffler silencers are mandatory and muffler may not extend beyond rear bumper. 14. Karts are to be equipped with throttle return spring to close throttle when released. 15. Front steering shall be of suitable design and in proper order and properly adjusted for maximum safety. 16. Top wings optional. Must be proportional to size of kart. 1. Five point shoulder harnesses, safety belt and sub belts, dated not over 3 years. 2. Harnesses must be securely mounted. 3. High top style shoes. racing shoes recommended. 5. Neck braces or helmet restraints. 7. Name brand flame retardant uniform. 1. All karts shall be numbered in the following manner: 3 number plates with (black with white lettering or white plates with red or black lettering) block style 6 inch numbers. One plate in front of kart, one plate in rear of kart, one on upper right side of cage. 2. Numbers MUST be legible from the scoring tower. Any number that can not be seen by Scorers will NOT be Scored. IMPORTANT NOTE: If your kart malfunctions on the track before the first green flag lap is completed, a crew member may restart your kart after you have been pushed to the designated area. You will be given two (2) courtesy laps to restart your kart after it has reached the designated area. After that first green flag lap is complete, you may not restart your kart. 1. ROLL CAGE: Must consist of continuous hoops, minimum 1.50-inch O.D. tubing, with a minimum wall thickness of .095-inch for main cage, frame-mounted in at least six places, low carbon or mild steel recommended. Must consist of a configuration of front, rear and top hoops connected by tubing on sides or side hoops. Driver's head must not protrude outside cage with helmet on. Roll cage must be securely supported and braced with minimum one cross bar in top halo. Foot protection bar required. Main cage no further forward than rear of engine. All bars forward of cage must be lower than hood. 2. DOOR BARS: All drivers side door bars and uprights must be minimum 1.5-inch O.D. and .083-inch wall thickness. Minimum three driver side door bars, parallel to ground & perpendicular to driver, and welded to front and rear of roll cage, passenger side must have at least one cross door bar, horizontal or angled, minimum 1.25-inch O.D. & .083 inch wall thickness, and one top door bar, minimum 1.5 inch O.D. & .083 inch wall thickness, steel door plate 18 gauge or .049-inch minimum thickness, must be securely welded to outside of driver side door bars & cover area from top door bar to bottom door bar and from rear hoop down post to 5 inches in front of seat. MUST BE VISABLE FOR INSPECTION. 3. SAFETY: Rules apply at all times car is on track. Snell rated SA95 or SA2000 helmet are required. SFI approved full fire suit, gloves & shoes required. Recommended fire retardant head sock and underwear, head and neck restraints. Driver side window net required, & must be mounted so latch is at top front of window or arm restraints. Fire extinguisher in drivers compartment is mandatory. 4. FRAME: OEM complete 1964 or newer, perimeter American rear-wheel drive passenger car frame only. No sports car frames. Frames must be full & complete, cannot be widened or narrowed, & must be able to support roll cage on both sides, except weight jack in original center line of spring tower allowed: frame may be cut a maximum 36 inches forward from center of rear housing: horns may be removed in front of steering box: front cross member may be notched and boxed for radiator and/or steering clearance:. Maximum seven inch wide opening in side of spring tower for spring removal. Maximum two inch wide by four inch tall frame stiffener may be welded directly to outside of left side frame rail. Minimum wheelbase is 108 inches, maximum is 112 inches, both sides. Maximum overall width (front or rear) shall not exceed 78 inches from outside of tire. No part of frame can be lower than four inches from ground except front cross member. 5. BODY: Must be same width, front to rear, and parallel to OEM frames. Engine compartment must remain open (no side panels). Hood must be enclosed at rear, no panel in front of right door to engine compartment. No inner panels, No car covers. Must have front windshield and rear window support posts. Driver and passenger side windows must have at least 12-inch opening, measured at center of window, between lowest point at top of window, whether roof or roll cage, and highest point at bottom of window, whether interior or body. May use Lexan in sail panels, may use full windshield. Must be fiberglass or aluminum full size roof rounded in all directions. ( roof escape panel is allowed) plastic skirting allowed on bottom of doors and quarters. Outside of tires must be widest part of car. 5" spoilers allowed. Spoiler supports no more than 5" tall in rear, 2" tall in front, and 12" long. 6. DRIVER COMPARTMENT: Must have a minimum three windshield bars in front of driver. Lexan or aluminum cowl panel in front of driver can be no wider than cockpit and no farther back than steering wheel. Minimum .125-inch aluminum, or .060-inch steel, complete floor pan required. Aluminum high-back seat only and must be bolted in next to left side frame rail and ahead of rear tires. Bottom of seat can be no lower than bottom of frame rail. Driver must be sealed off from race track, driveline, engine, fuel cell, canisters and pumps. Accumulators cannot be mounted between driver & left-side door bars. No devices that would enable driver adjustment to alter wheelbase or for weight jacking while car is in competition. No mirrors or reflective sun visors. 7. FRONT SUSPENSION: All components must be steel, unaltered OEM, in OEM location and replaced by OEM parts, except tube type upper A-frames with or without aluminum/steel cross shaft & mounts can be moved. OEM replacement lower A-frames bushings only, no offset or bearing type. All lower A-frame mounts and bolt holes on frame must be in stock location. Lower A frame must be right & left & of same design; rubber, nylon, or steel lower A frame bushings, no offset or bearing type: welded or bolted shock mount on lower A frame. Lower A frame mounts & bolt holes on frame must be in OEM, location. OEM ball joints only. Sway bar must be unaltered OEM. After market lower A-Frames are legal. 8. STEERING: All components must be steel, unaltered OEM, in OEM location. except outer tie rod end & adjustment sleeve may be replaced by a minimum .625-inch steel rod end and steel tube; spindles can be ground for brake caliper clearance only; spindles must be right & left, & of the same design; bolt on spindle savers allowed; steel steering shafts & knuckles only. Steering quickener, steering wheel & quick release may be aluminum. Cockpit steering may be modified, must be kept on left side. No rack & pinion. 9. SHOCKS: One steel non-adjustable unaltered shock per wheel. One additional shock allowed on rear suspension. No bumpers or stops, no threaded body, front coil over, air or remote reservoir shocks. Front half may be shielded. 10. SPRINGS: One steel, non progressive coil over spring and/or steel leaf spring per wheel only. One additional spring allowed on pull bar or lift bar, may be progressive. Any coil spring must be at least 4.5 inches O.D. No torsion bars or air bags. 11. REAR SUSPENSION: All components must be steel. No covers allowed. All trailing arms/link bars must be solid tubing. Rear of frames may be altered to accept leaf or coil springs. Steel coil over eliminators or steel/aluminum coil over kits allowed. Must conform to shock and spring rules. One mechanical traction bar (pull or lift bar not both). 12. REAR END: Any steel approved OEM passenger car or truck rear end allowed. Safety hubs (floater) allowed. All components must be steel, except lowering blocks, axle cap, and drive flange. Inspection hole in housing is required. Full steel spool, steel mini spool or welded rear ends only. Steel axles only. No quick change devices, or cambered rear ends. One piece drive flange only. No torque dividing differentials. 13. BUMPERS AND RUB RAILS: Steel only. Bumpers must be used both front and rear at all times and welded or mounted with minimum .375-inch bolts. Must be minimum 1.25-inch O.D. tubing, .065 wall thickness on front, .095 wall thickness on rear. Two-bar front bumpers must be mounted to frame-end to frame-end, no wider than width of material outside frame horns and with bottom loop parallel to ground. Top bar must be directly above bottom bar, minimum 6.5 inches apart, measured center to center. Rear bumper and nerf bars can be no wider than tires. 14. TIRES AND WHEELS: Hoosier IMCA G-60 (KK704) or Hoosier A-40 or H-40 tires only. Grooving , siping and or grinding of tires is allowed. No re-caps. Aluminum or steel spacers only. May use I.M.C.A. approved bead lock, on right rear only. External, steel bead lock only and it cannot make wheel any narrower than 8 inches and no wider than 8.75 inches. Must use only steel bolts. One foam type or plastic mud cap allowed on right rear only. Rim-mounted bleeder valves allowed. 15. BRAKES: Must be steel approved OEM, operative four wheel, drum or disc. Must maintain OEM dimensions for Hubs/rotors and calipers, cannot be lightened. Bolt patter may be changed. Larger studs allowed. Rear rotors may be aftermarket, min. 0.810-inch thickness. Vented rotors only, no scalloped rotors. No brake shut-off or pressure sensitive devices. One proportioning device allowed, front to rear only. Brake lines must be visible. 16. EXHAUST: Round tube headers only. All primary header tubes must enter directly into one collector, at same point, at end of header. No exhaust sensors. Must run mufflers. 17. FUEL SYSTEM: Mechanical fuel pump only and must be mounted at front of engine. Racing fuel cell required, maximum 32-gallon capacity, must be in minimum 18-gauge steel container. Cell must be securely mounted behind rear axle, between rear tires, minimum of four inches ahead of bumper, minimum of ten inches above ground. Must mount with minimum two .125-inch thick solid steel straps, two inches wide around entire cell. All cell mounts must be steel, securely welded to frame/cage. Protective tubing must cover rear & extend past both sides of cell. No part of cell shall be lower than protective tubing. Fuel cell vents, including cap vent, must have check valves. Pick-up must be on top or right side of cell. Limit of one fuel filter. No cool cans. One naturally aspirated 2-barrel 500 cfm 13/8" venturi carburetor only. May remove choke horn. 18. FUEL: Must be Gasoline . NO performance-enhancing additives. Upper cylinder lube allowed. Fuel sample may be taken from any car at any time. Penalty for illegal fuel is disqualification from event and $250 fine - first offense. No Alcohol. E-85 allowed. 19. WEIGHT: Minimum weight limit of 2,600 pounds, no tolerance, after race with driver in car. No weights and/or loose objects in driver compartment or outside body. Weights must be securely mounted to frame or roll cage and painted white with car number on it. Must be attached with at least two .5-inch bolts. No titanium, magnesium. No gun-drilled, tubular, hollow bolts or studs. 20. BATTERY AND STARTER: One 12-volt battery only, must be shielded & securely mounted between frame rails. Must have capability of starting without being pushed or pulled. Must leave initial staging area on demand, unaided, or go to rear of that race. Reverse-mount starters with OEM case transmissions only. 21. GAUGES AND ELECTRONICS: No transmitting or listening devices, timing retard controls, or digital gauges (including tach). No electronic monitoring computer devices capable of storing or transmitting information except along tach. No adjustable ignition control boxes. Only one 12-volt ignition box allowed, must be out of driver's reach. No additional ignition accessories allowed. Only change allowed to ignition box is one high-end rev-limiter setting. This setting can be changed through one chip only, or an internal setting inside box. No electronic traction control devices ($10,000 fine). MANUAL: Must have a standard OEM case & working disc-type clutch or approved cone or disc type coupler inside an explosion proof steel bell housing. One fly wheel only, minimum 8.5 inches diameter. Diameter of clutch disc must be a minimum of 5.5 inches. Clutch assembly must be steel, except housing, which must be steel and/or aluminum. Bell housing can have only a hole for throw out bearing lever or hose, must be 270 degrees around top of clutch and flywheel area. Standard or reverse mount starter allowed, must directly engage flywheel. No internal clutch type transmissions. Except automatics. AUTOMATIC: Must remain in OEM or OEM replacement case with a functioning OEM appearing pump. Must have an approved scatter shield. Scatter shield must be constructed of minimum of .125-inch by three-inch steel, 270 degrees around flex plate. BRINN/BERT/FALCON Type Transmissions allowed but you MUST add 50 lbs from the motor plate forward. DRIVE SHAFT: Minimum two-inch diameter steel drive shaft & must be painted white. Steel slip-yokes only. 360-degree drive shaft loop required and must be constructed of at least .25-inch by two-inch steel, or one-inch tubing, mounted six inches back from front U-joint. 23. ENGINE LOCATION: Rear of engine (bell housing flange) must be mounted at least 72 inches forward from the centerline of rear axle. Engines offset must be kept within 2 inches of centerline of front cross member with engine level. Minimum 11-inch engine height from ground to center of crankshaft. Radiator must be mounted in front of engine. Cooling system may be modified. Overflow tubes must be directed to ground between frame rails. 24. ENGINE SPECIFICAIONS: Any American made engine allowed. Steel heads, block & oil pan only. All engines must be able to be used in conventional passenger car without alterations. Engine mounts cannot be removed or altered. Castings and fittings must not be changed. Wet oiling system only. No Roller cams.